As a graphics identifier to show a group of information, barcode can mark out a product¡¯s producer, producing country, manufactory, product name and production date etc. 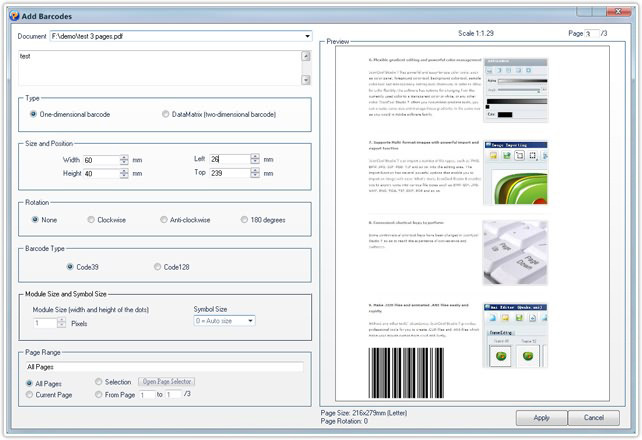 With "Add Barcode" tool of PDFCool Studio, the user can add the relevant text or date information to PDF document. Choose Code 39 or Code 128 in "Barcode Type" radio box to set the type. 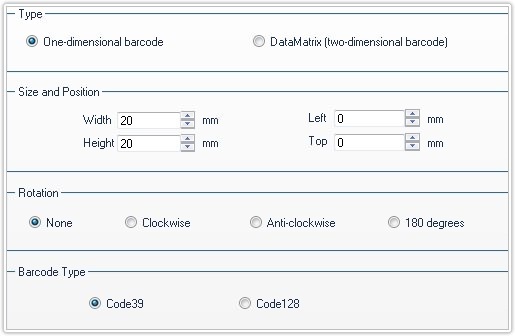 Choose the proper parameters of Left and Top to set the two-dimensional barcode¡¯s position in the PDF document; Choose proper parameters in "Module Size and Symble Size" box to set the two-dimensional barcode¡¯s module size and symble size. 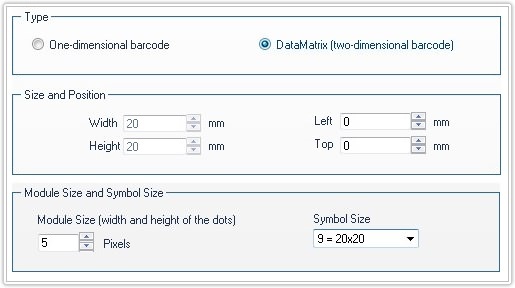 Note: DataMatrix is a two-dimensional barcode which can store from 1 to about 2, 000 characters. ModuleSize is used for the width and height of the dots which make up the symbol.